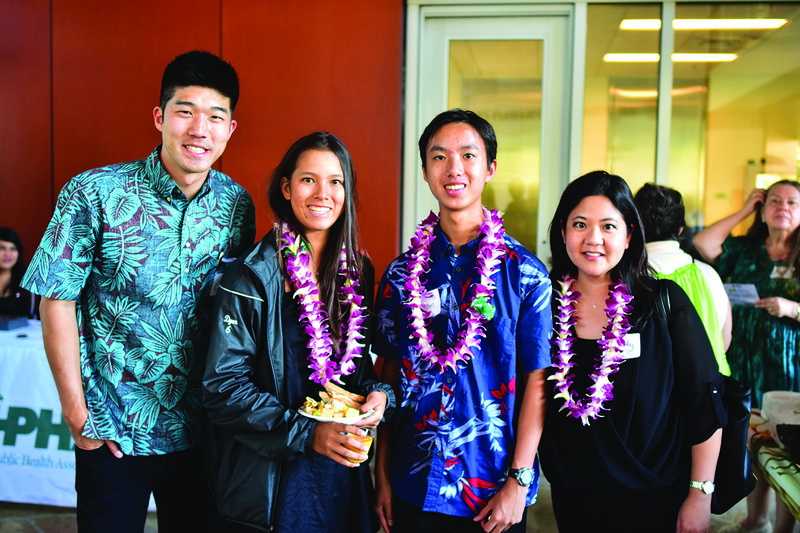 From Left: Colby Takeda; ‘Iolani One Mile Project students Marley Dyer and Bryson Choy; and Christy Nishita, PhD. The One Mile Project at ‘Iolani stands out from traditional academic classes. It is a high school class that centers on building empathy and understanding for kūpuna in our local community; it seeks to address the challenges that many kūpuna face in their daily lives. Students learn about aging, then develop and implement their own projects. The class is an opportunity to step into the shoes of kūpuna and develop awareness and empathy towards the older population. The class pushed me to go beyond the classroom and pursue various projects to address challenges that kūpuna face. My project was inspired by my grandparents, who faced difficulties in communicating and understanding health information during doctor’s visits. With the support of my teachers and Christy Nishita, PhD, project advisor, I conducted focus groups and interviews with caregivers, older adults and geriatricians to better understand these challenges. I created a presentation with findings and tips and presented them to University of Hawai’i geriatric fellows, a pre-medicine student club, the Farrington High School Health Academy, and a Project Dana caregiver support group. My enthusiasm for helping the kūpuna population stimulated my decision to pursue other projects. I worked with Colby Takeda from The Plaza Assisted Living Waikīkī to co-coordinate an inter-generational photo voice project called ‘Honolulu Walks.’ I also talked story with different kūpuna and created a website that shares kūpuna life experiences called Stories of Kūpuna medium.com/stories-of-kupuna. I believe that older adults are the storytellers of our society. They have so many valuable life lessons, experiences and stories. I hope that my experience encourages others to step into their shoes and see the world from their perspective. ◆ Where Do Our Seniors Live? ◆ What is the Blue Zones Project? ◆ You Need Skilled Nursing ... What? ◆ Are you Ready for Emergencies?